The London Bridge Trio is one of Britain’s leading chamber ensembles. The trio originally formed in 2002 as the London Bridge Ensemble and they continue to prioritise strong, composer-led programmes with the option to collaborate with regular guest artists. Their name reflects an admiration for English music of the early twentieth century, which forms part of the group’s varied repertoire and is represented by their hugely successful Frank Bridge recordings. 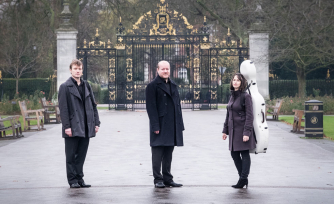 Recently the trio has appeared frequently in London with Wigmore Hall and Kings Place concerts as well as a residency at St John’s Smith Square, entitled ‘Brahms and his World’, which represented four aspects of his composing life with mixed combinations and song. Explore the journey of Mozart’s life from young prodigy to the epitome of classical music, as Hiro Takenouchi continues his series of performing all of Mozart’s sonatas for solo piano, leading up to his finale concert on April 28th. “Perhaps the most celebrated 'sonata-thon' is the monumental series by Beethoven. I have never done it myself, but have heard reports from those who have, about the discovery, the mental journey, the spiritual progress, the journey of the man himself, and so on. I have a sneaking suspicion and a somewhat sanguine wish that I might find the same shining wonder in all the sonatas by Mozart. Although we know that his skills as a composer matured, and he certainly changed his language to suit the evolving musical fashions, I want to test this theory by playing them all, to find the unchanging and sparkling spirit of a man preserved in all the sonatas. I have now lived longer than Mozart did. Not that this gives me any right or superior insight into his music, but it is an odd feeling that I am in a position to look back at all the ages at which Mozart wrote these 18 works. If I have time, I might endeavour to play the Beethovens, Schuberts, or even the Haydns too!"